Jim Delany has a plan. He always has a plan. And it’s not always what it appears to be. This time, the commissioner of the Big Ten Conference is publicly floating the idea of making freshman college football and men’s basketball players ineligible for competition during their first year on campus. 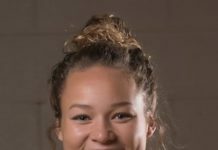 They’re calling it a “year of readiness” and the idea – and that’s all it is at the moment – is supposed to allow incoming students a year to adjust to college life physically and mentally, helping them get adjusted to the academic demands of college before being tossed directly into athletic competition. Presented that way, it sort of makes sense. The idea has support from both the Pac-12 and Big 12 offices, as well. Old timers will remember there was a time when that was the case. Up until 1972, actually, true freshmen could not compete at the varsity level. Instead, many schools had junior varsity programs that played a limited schedule. In more recent times, the great majority of freshman football players have taken a redshirt season anyway, so the impact on what we would see on the football field would be negligible. Most observers and commentators have predictably gone off against the idea, as have coaches like Syracuse hoops legend Jim Boeheim and Kentucky’s John Calipari. A rule like this would damage their highly successful programs and they know it. They all also know it’s never going to happen. The “movement” is being presented in the name of improving academics. Again, that sounds good on the surface, but logistically, it won’t work. Too many schools would be forced to give athletes a fifth year of scholarship money they weren’t planning on (on top of the “cost of attendance” stipend that’s going into effect next fall) and it discourages student-athletes from working toward a four-year degree. It will never gain enough support even from the academic side to ever become reality. Delany – who was a successful student-athlete himself as a basketball player at North Carolina back in the days when freshman did have to stay on the sidelines their first year – would love to return to those simpler times. Yet even he knows that freshman ineligibility will never happen. So why float the idea in the first place? Because this is actually a disguised step toward Delany’s real objective: He doesn’t want to pay college athletes, period. He doesn’t want to be a minor league for the NFL or NBA. 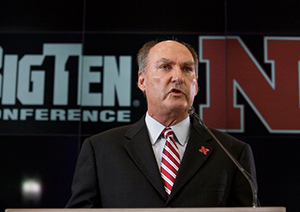 Delany wants college athletes to be in school to be students first, jocks second. He cares about stuff like graduation rates and team GPAs. He likes the way it’s done at places like Stanford, Northwestern and Duke. And he firmly believes that fans would be fine with the on-field product as long as the ol’ alma mater’s name remained emblazoned across the front of the jersey. And he’s probably right about that. What Jim Delany really wants is for the NBA and NFL to create their own full-fledged minor league systems and let colleges go back to being places for kids seeking an education. A minor league for the NBA and NFL would offer kids coming out of high school a choice to go to school for that education and to play sports or to go play sports to get paid. Some think Delany wants the NBA to drop their minimum age requirement, which could effectively end the “one-and-done” era in college hoops. 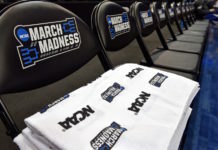 What’s more likely is that with some more shoving from the NCAA, the NBA ultimately eliminates the age requirement for the NBA Developmental (aka minor) League only, so that high school kids can bypass college for an immediate paycheck if their long term plans don’t include getting an education. How long after that would the NFL be more or less forced to follow suit and create their own football minor league? The pros and the NCAA already have this model in place for baseball. Coming out of high school, a young baseball player can opt to sign a professional contract and go into the minor leagues or commit to college for three years (two if he chooses to go to a junior college) or until he turns 21. If football and basketball did the same thing, then the NCAA could (rightfully) claim that the young men had been given the choice to get paid to play, but instead chose to forgo that in exchange for a college education. Offering that choice would alleviate the mandate for the NCAA to pay players and/or deal with the entire “labor union” mess that’s still hanging over their heads. The courts have ruled against the NCAA in the Ed O’Bannon case vs. EA Sports (allowing college athletes to receive payment for the use of their likeness in media) and the with regard to Northwestern University’s right-to-unionize movement. Those cases are still being appealed, but the writing is in the wall: The NCAA has to change in order to stay the same. To keep what they have they have to offer an alternative for those who don’t want to do it their way. So by floating the idea of making freshman ineligible, Delany knows he’s stirring the discussion – again. You can bet he and his colleagues will continue to keep pushing until the NCAA is allowed to go back to doing things their old fashioned way.